Mike: "You know who Tesla is, right?" Me: "Of course. Who doesn't?" Me: "Great band. Sang 'Signs, signs everywhere are signs...' "
Me: "Blocking up the scenery, breaking my mind..."
Me: "They also did Love Song... we had that one played at our wedding, remember?" Mike: "NIKOLA TESLA. The scientist." Mike: "Electricity. Alternating currents. AC/DC. Anything?" Me: "AC/DC rocks, too, but I don't think they ever did anything with Tesla." He promptly got this book on his Kindle and started bugging me to read it. Turns out this dude was pretty cool and was crazy smart. Great thing about this little book: it's free! But only available for Kindle. If you're interested to know why Mike was encouraging me to learn a little more about science, check out this post. 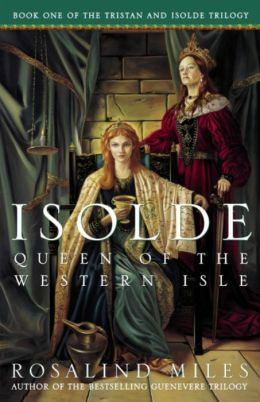 Growing up, one of my favorite books was The Once and Future King so it's probably no big surprise that I still love fantasy stories and tales of Tristan and Isolde are some of my very favorites. I can easily get lost in their adventures no matter how many times or how many versions I've read. This series by Rosalind Miles is one I've most enjoyed... and I've read it several times now. If you like this first book, follow it up with The Maid of the White Hands (Book 2) and The Lady of the Sea (Book Three) .